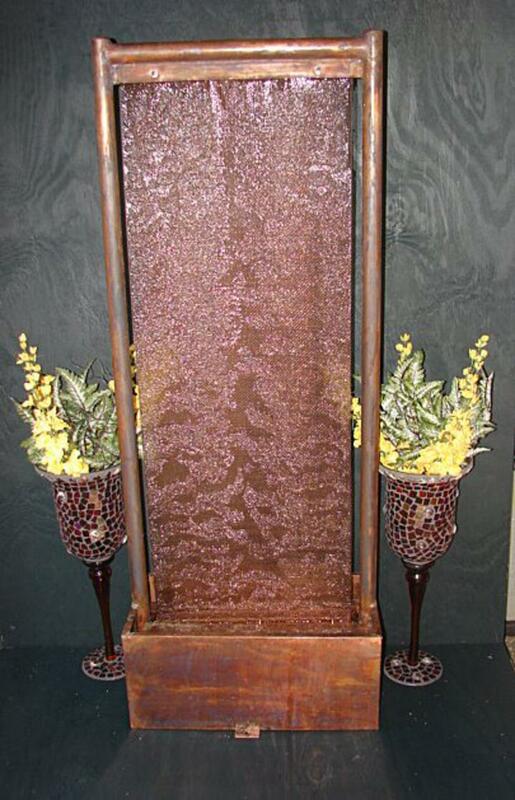 This copper fountain is perfect for any home or office setting. Comes with a life time pump warranty. This fountain can be enjoyed for either side! Cascading water area is: 43" x 16"
Comes with a Fountain Pro WT-530 Professional Pump with a life time warranty! 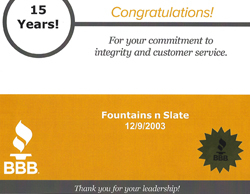 Fountain is all hand crafted and welded together and will last you a lifetime with proper care. See our video of this fountain and notice how we decorated this with some very elegant side decor. You can use instead artificial small trees or shrubbery or have the fountain stand along. 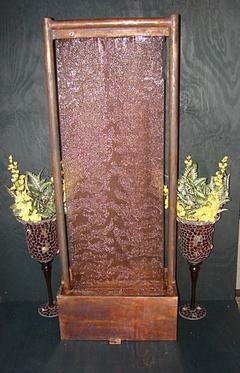 The two side glass vases are to show you how to decorate this fountain. Sorry, they do not come with the fountain.